This is not just a place for believing in the unbelievable, this is for those who believe in The Code. To be a good bear (person) is to combine strength and courage with gentleness, tenderness and great unselfishness and Not tolerate cruelty, idelness, selfishness, cowardice or untruthfulness. Strive to be the best teddy (person) you can be with love, honor and loyalty. Family is what keeps us strong. 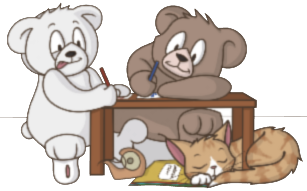 STS has entered the classroom and I would like to share the views of those that have been affected by the teddy bear world. If you would like to participate please email. So, you've read the book.